I was encouraged by last night’s Interfaith Service Honoring Those Affected by Domestic Violence. First, people came. Whether anyone at all besides the organizers will come to a service at a different church in a different part of town on a Sunday evening when the day has been (for most people) full of other worship and other activities is always a concern. But people came, and in some numbers. There were more members of the ad hoc congregation than there were participants in the service — I generally take that as a good sign. Second, the logistics all worked out. The programs showed up, the microphones and the lights came on, the speakers and texts all came together. For that, many thanks to the many people from around the Louisville community (named in the program for the service) who gave their time and talents on this Sunday night to make the service possible. Third, and most important, the service itself was meaningful, and focused our attention on the challenge to faith posed by domestic violence, and the response that needs to rise to meet that challenge. The stories read by representatives of the Center for Women and Families underscored the harsh realities of domestic violence — waking up at night to a fist or a knife; fearing for children, friends, to say nothing of oneself; struggling with the complex, contradictory anxieties involved in separation and escape. The prayer beads we had collected, and used in an offering of prayers — griefs, concerns, hopes — served to make the purpose of the evening concrete and personal. But, I admit, the element of the service that affected me most was Claire and Heather Kresse’s dance to Mary Sue Barnett’s poem “Faith and Mary.” As ephemeral as a butterfly, as swift as a passing dream, the dance was a visual, dynamic representation of the peace and joy, the unselfconscious delight in life that is the inner meaning of all our talk of safety, that is the goal of the efforts to end domestic violence. It was like the echo of a promise, that was simultaneously a call to continue the work. Such reminders are precious. In the conversation after the service, over the indispensable coffee and cookies, it was clear that everyone who attended had some special connection with domestic violence. Some were helping professionals, whose jobs revolve around or are frequently taken up with domestic violence and its aftermath. Some were friends, acquaintances, with a special interest in taking some action on the issue as a consequence of personal involvement. Some were members of faith communities who recognize the impact on those communities of domestic violence, and particularly, of the silence that so often keeps it hidden until its cataclysmic effects are felt. All face the dilemma that working on domestic violence risks seeing that violence swamp one’s consciousness, until everything everywhere takes on the colors and contours of the violence that one is working to dissipate. That state is the precursor to hopelessness. So the positive vision of the good that is being pursued, struggled for, lived towards is vital — and vitalizing. We shared that vision last night. For that, and for that work that gives it hope of one day being realized, we are indeed thankful. The Louisville Task Force to Eliminate Domestic Violence (LIFTED) met Wednesday at the First Unitarian Universalist Church, 809 S. 4th St., Louisville. 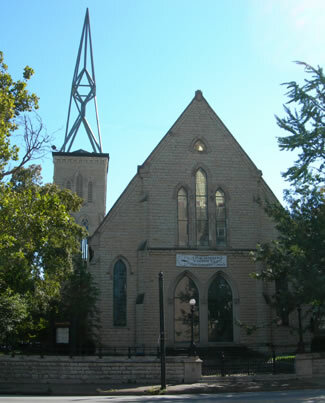 It’s difficult to imagine a more beautiful worship space in which to hold the group’s interfaith worship service honoring victims of domestic violence, which is scheduled for Sunday, October 26, 7:00 p.m. The space is entirely flexible: chairs instead of pews, moveable modular dais to define a presiding area anywhere in the space, and a floating choir area. The only stationary element, apparently, is a massive pipe organ, fixed in one of the side walls, like a reminder of another era. Gothic-modern stained glass windows of remarkable grace and beauty, emphasizing light, soar on two sides of the space. We considered ourselves very fortunate to be able to worship in this space. The service will bring to mind and lift up all those people who have been affected by domestic violence — loved ones injured or even killed, selves struggling to be free from an unimaginable situation, children who have had to witness too much, relatives desperate to help, missionaries called to the work of bringing tangible good news in the form of shelter, legal relief, options to people trying to leave violent homes. LIFTED hopes the service will work to draw together many members of the diverse faith communities in Louisville, and to provide a starting point for more concerted action by faith communities to end domestic violence here, where we live. The Women’s Center is still collecting beads that will be used during the service, and then will be donated to children’s craft projects. If you have beads for this purpose, please bring them to the Women’s Center during regular hours, Tuesday – Friday, 12:30 – 2:00 p.m. The Louisville Interfaith Task Force to Eliminate Domestic Violence (LIFTED) is asking for beads — ones large enough to pick up easily. The beads will be used in a service to honor people affected by domestic violence, to be held Sunday, October 26, 7:00 p.m., at the First Unitarian Church, 809 S. Fourth St., Louisville. They will act as a visible, tangible symbol of the varied and beautiful lives of those women, men, and children who have been and are being touched by domestic violence, and will become part of the community’s prayer for and end to violence. After the service, the beads will be taken to the Center for Women and Families, where they will be used in the Center’s children’s craft program. A broken necklace or bracelet can, in this way, have a new life as part of the ongoing effort to end domestic violence. 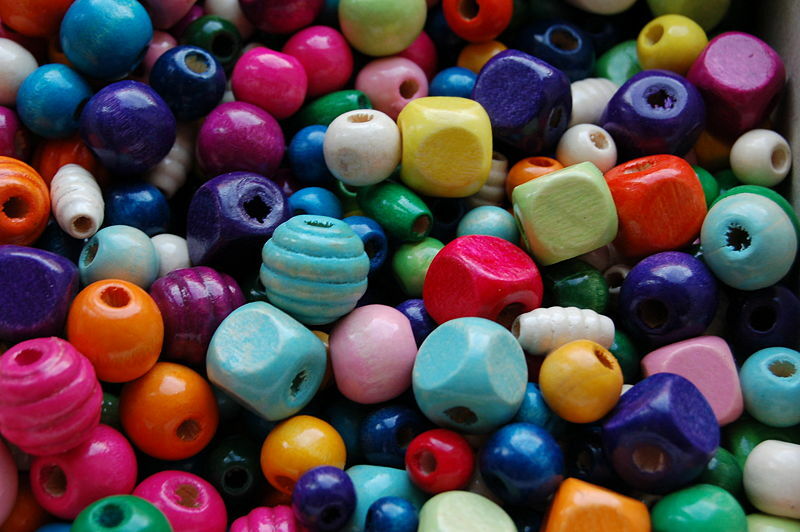 Bead donors can drop beads off in the blue bowl in the Women’s Center at LPTS during drop-in hours, T-F, 12:30-2:00 p.m. LIFTED formed some months ago as a coalition to enlist faith communities in the ongoing effort to end domestic violence, by focusing attention on the sources of the problem, and by mobilizing the resources available to faith communities in this effort. Members of faith communities have leaders they respect and listen to; they have strong communal ties with one another; and they have shared values and beliefs that they try to act on. When the members of faith communities recognize the extent to which their beliefs, values, sacred texts, and communities decry domestic violence and the dynamics on which it thrives, these communities become a force for change in a culture that underwrites this violence. The group hopes the prayer service will be a significant beginning for its efforts in the Louisville community. In addition, the group is developing an information packet for clergy and other leaders of faith communities, which it will begin distributing this month. The Women’s Center is involved in several events this month that focus on raising awareness and preventing domestic violence. The most immediate is Saturday’s workshop, Promoting Gender Respect Among Adolescent Males: Techniques for Faith Communities. The workshop happens this Saturday, October 11, 8:30 a.m. – 12:30 p.m., in the McAtee rooms, Winn Center, on the Seminary campus. The workshop will be led by Rus Funk, MSW, author and founder of MENSWORK, eliminating domestic violence inc., and focuses on preventing domestic violence before it starts. The objective is to train youth workers and educators to initiate conversations around gender, consent, and respect with young men, to cultivate attitudes that promote mutuality and turn aside from the control-seeking that is at the heart of domestic violence, and to engage young men as part of the movement to eliminate domestic violence. It’s not too late to register online for this event! The Louisville Interfaith Task Force to Eliminate Domestic Violence (LIFTED), in which Louisville Seminary and the Women’s Center at LPTS participate, has developed a packet of information on domestic violence for leaders of faith communities. Members of faith communities may assume that domestic violence is one of those problems “out there,” that affects other people, especially since we know of no faith communities that are in favor of abusive violence. That assumption, however, provides cover for patterns of violence that happen in private and that thrive in an atmosphere of secrecy, shame, denial, and isolation. 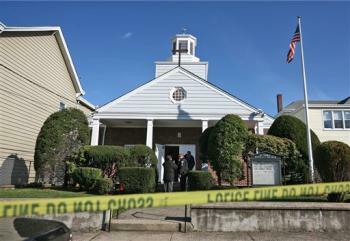 The objective of LIFTED is to engage faith communities, and particularly the leaders of faith communities, in the active effort to eliminate domestic violence by recognizing it as a problem that afflicts communities of faith along with the larger community, and by mobilizing the resources of the faith tradition, its values and symbols, to make faith communities genuine places of safety. To that end, the packet provides information about the phenomenon of domestic violence, along with information about appropriate responses to reports of domestic violence: what to ask, how to avoid placing someone who reports domestic violence in even greater danger, how to handle referrals, and how to follow up. The packet is available by request from MENSWORK. 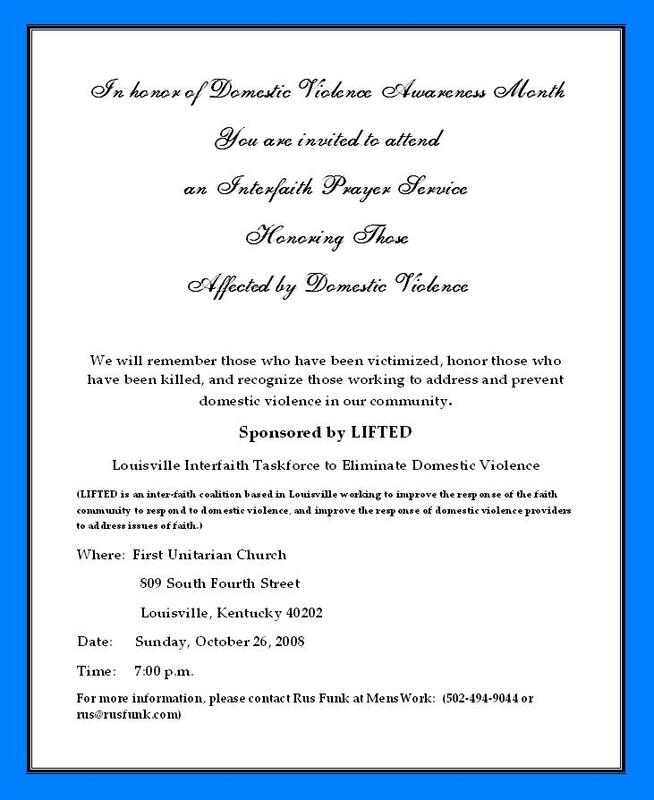 LIFTED is also organizing an Interfaith Prayer Service to honor all those affected by domestic violence, on Sunday, October 26, 7:00 p.m., at the First Unitarian Church, 809 S. Fourth St., Louisville. The service will “remember those who have been victimized, honor those who have died, and recognize those working to address and prevent domestic violence in our community.” The service is free and open to the public, and all are invited and encouraged to attend.